As always there are numerous rumors doing the rounds about Apple’s next update for one of its iOS products the iPad mini 2. Over the past few months, there have been various leaks, speculations and reports which have all added to the mystery around the next generation of iPad mini. For the iPad 2 and the iPad mini, both displays saw 1024 x 768 pixel resolution which wasn’t too impressive at all. Users complained that they could easily make out the 163 pixels per inch on the display. 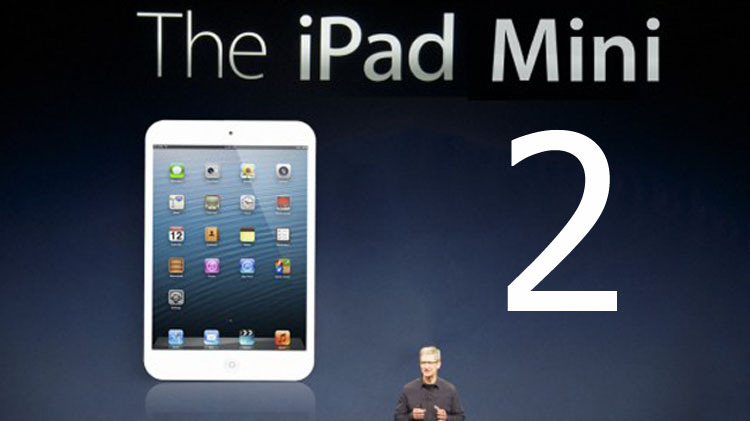 Now though, there are rumors that the iPad mini2 will feature 324 pixels per inch. Patently Apple have encouraged rumors saying that Apple have been discussing the possibility of building a premier display with LG to push the pixel count per inch to over 400 for the iPad mini 3. After a Chinese website leaked a photo of what looked like a gold iPad Mini 2, there is now also speculation that the new version of the mini iPad will be available in different colors. The picture in question also appeared to show a touch ID fingerprint scanner like the one featured on the iPhone 5s. There’s also supposed to be a 8MP camera on the latest mini iPad. There is some speculation about the fact that Wallmart has dropped prices for the iPad mini. Certain people believe this might be because Wallmart have information on an updated version of the iOS product coming out soon. Normally, Apple have been keeping to a yearly update schedule for such things but then the iPad 4 was released only 6 months after the 3rd generation of the iPad sparking rumors that Apple might be leading towards a bi-annual release for the iPads. One thing is for sure though, whether any of the above rumors are true or not, Apple have certainly got a buzz around their iPad mini 2.